I admit, I have been totally delinquent in my blogging, BUT! there has been good reason. Mama Kitchen had surgery this week — everything went smoothly, but I wanted to be here to help take care of her and to help out during the recuperation. So yes, delinquent blogger, but, also, good daughter. I think these things even out. Apparently, the universe has seen fit to reward me today and I couldn’t be happier. You see, I just won a gift certificate to Williams Sonoma. (Did anyone else just hear a choir of angels? Cause I sure did.) And who, you might ask, is the fairy godmother who hath bestowed this unbelievably good fortune? It’s Merci New York, this fantastic resource for chic, sophisticated stylish brides. And while Merci can plan any sort of event, their blog (Merci New York Blog) is an absolute must-read for brides. 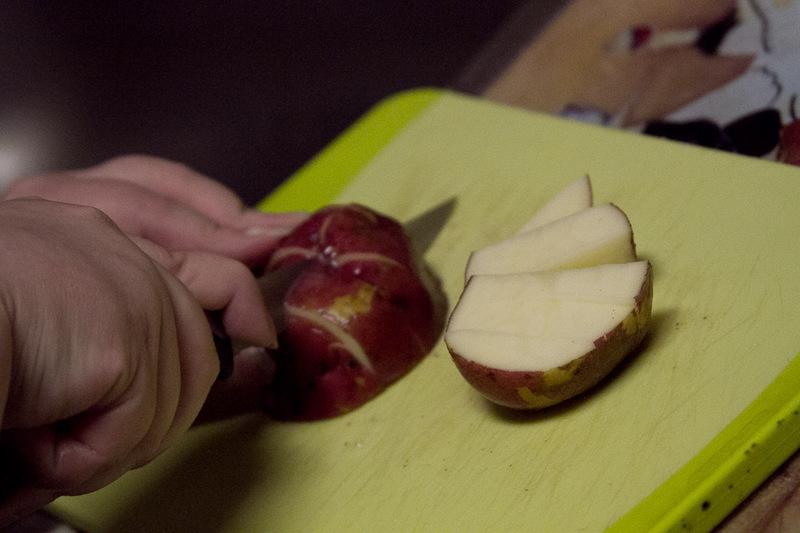 Now – on to the recipes! 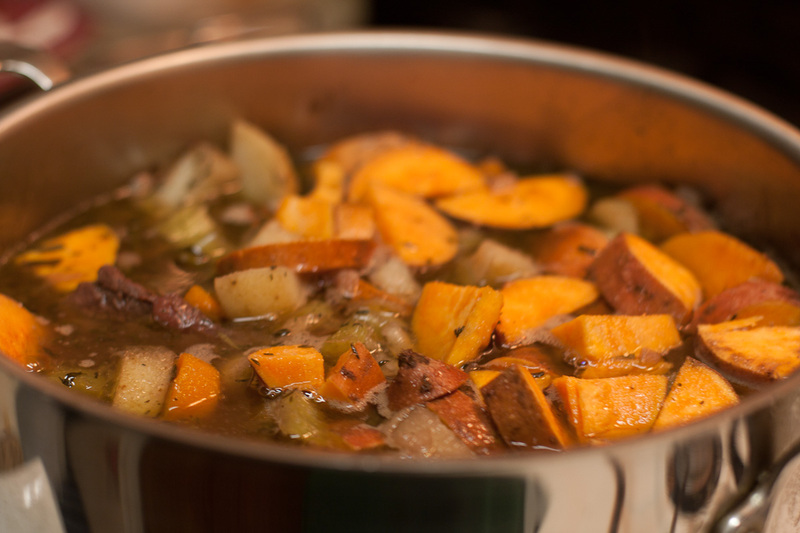 Mama Kitchen chose this next one, but it’s really a perfect fit with our recent focus on fall produce. 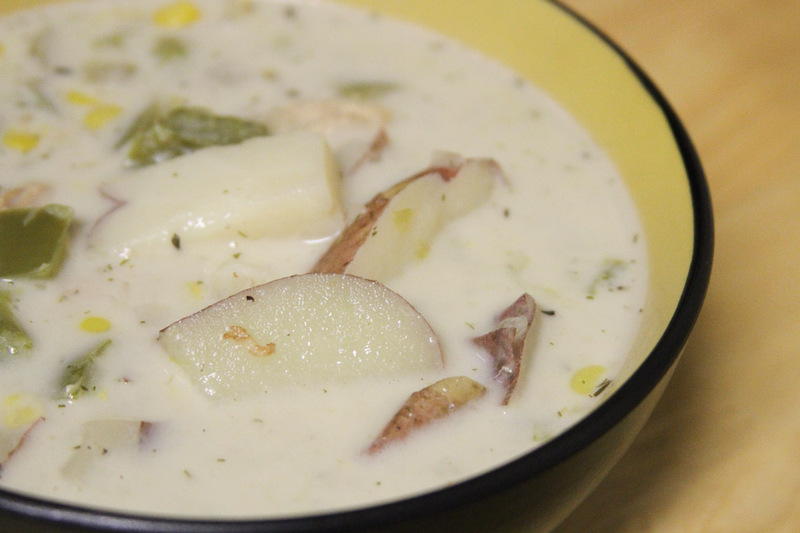 It’s getting chilly down here in South Carolina and the perfect cure for that? Chowder. 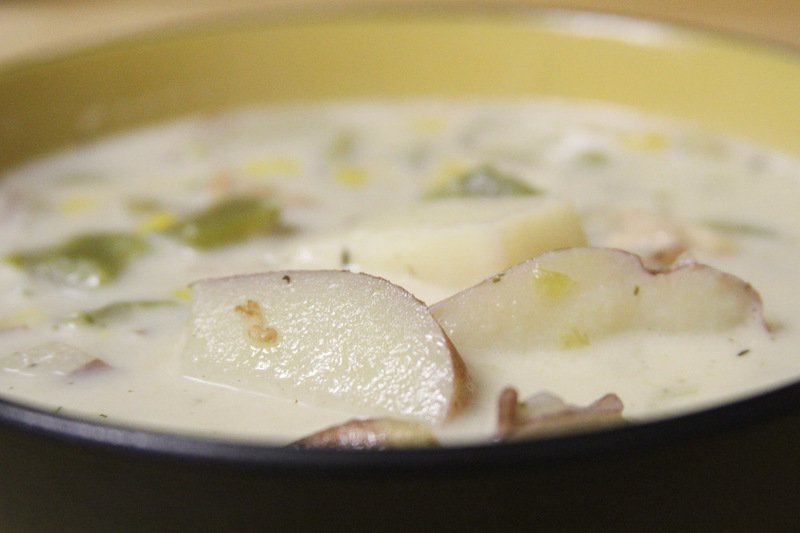 Specifically — Chicken and corn chowder. As you may have noticed by the photos that accompany the recipes I’ve posted, I cook (and inevitably eat) everything that’s included on the blog. So, while all the stick to your ribs food I’ve been posting has been an absolute joy to make and eat, my Wii Fit Mii has been looking pretty shameful lately. Yes, that’s right, I’m being shamed by the Wii Fit. My Mii has been looking pretty dejected this week and the game system keeps playing that “doh doh doh doh” “you lose” music, so I’m thinking this is a bad sign. Everything in moderation right? 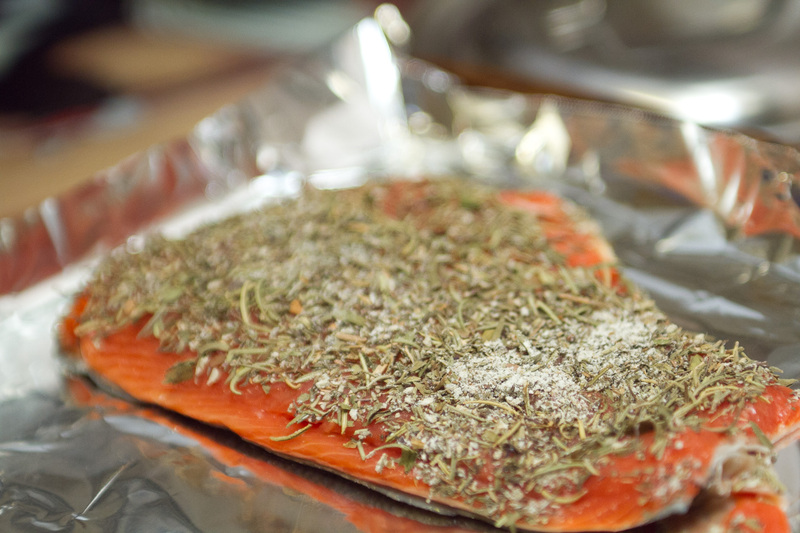 So next up is a delightful, light and actually good for you Herb Crusted Salmon. 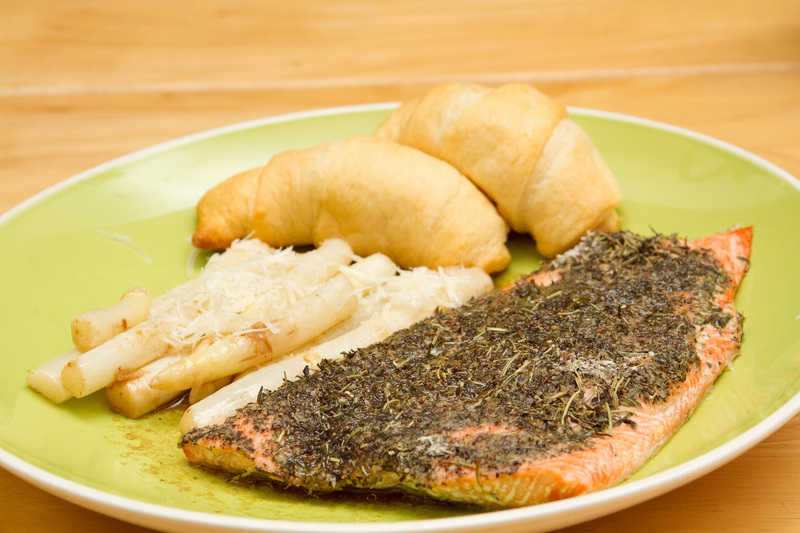 Herb Crusted Salmon. Is it just me or does that just automatically sound just a bit more sophisticated than your average mid-week meal? 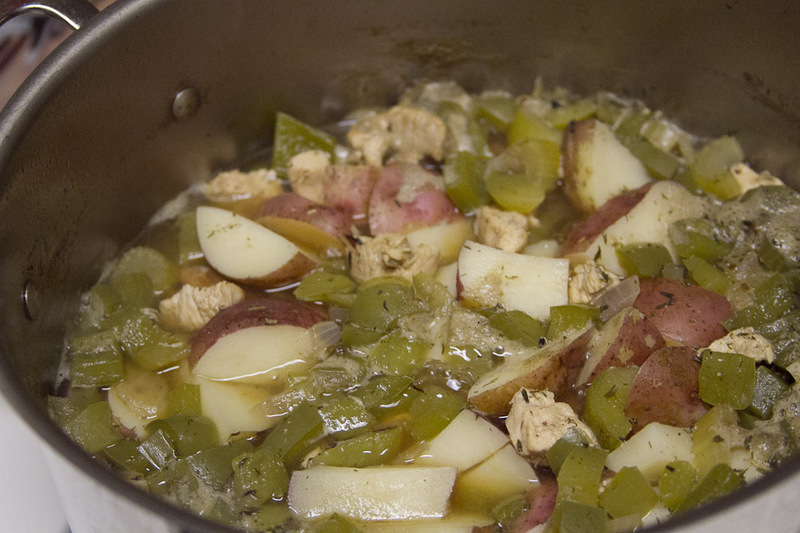 Luckily, this recipe is incredibly easy and takes less than 20 minutes total to prepare. 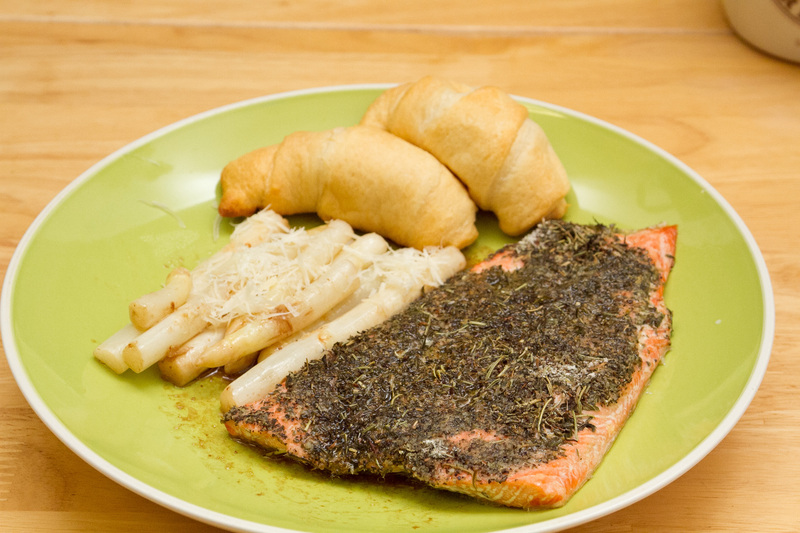 Rinse salmon fillets. In a bowl, mix the herbs together in along with flour. Cover a jelly roll pan with foil. Drizzle a little bit of olive oil on fillets, enough to just coat the top surface of the fillet. Dip fillets oil-covered surface down into mixture of herbs, pressing gently to coat the surface. 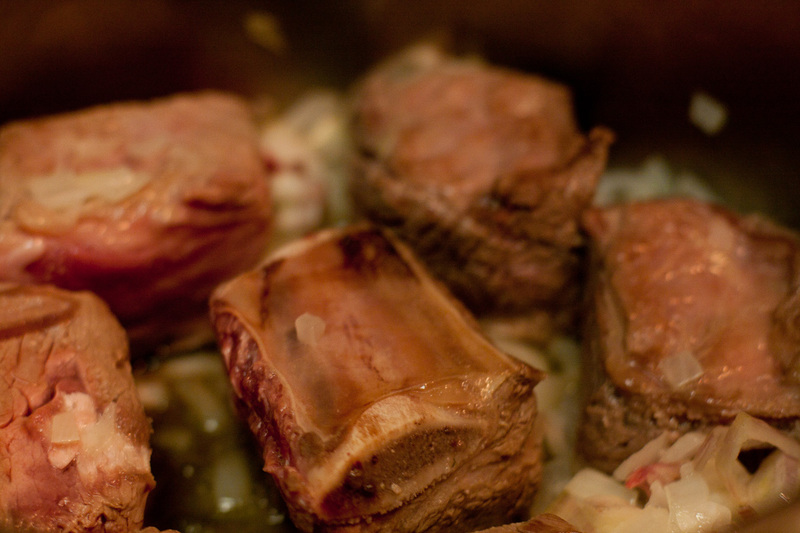 Place fillets on pan. Drizzle again with a bit of olive oil. Bake for approximately 10 minutes. Rinse and trim asparagus. 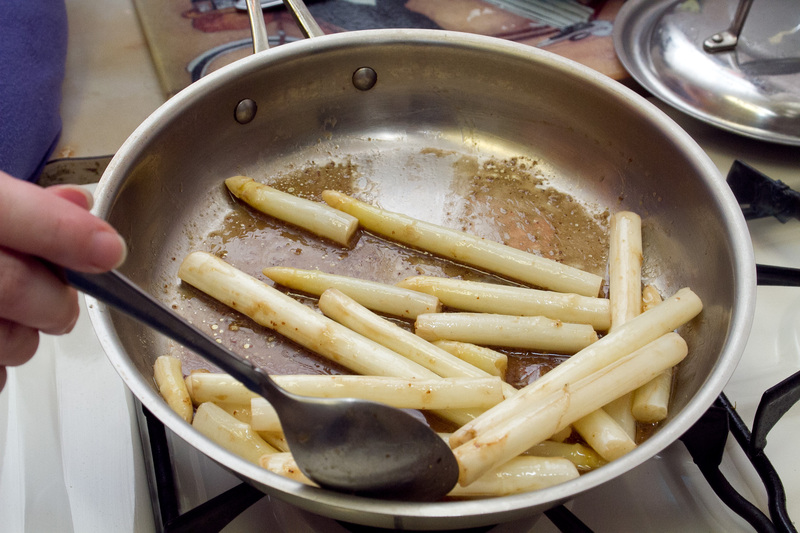 In a shallow pot, blanch asparagus spears over medium-high heat for approximately 3-5 minutes. Remove from heat. 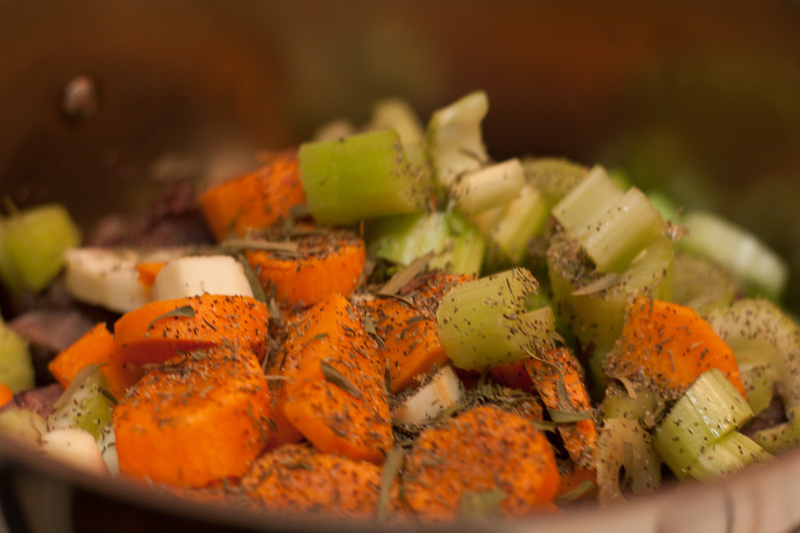 In a bowl, mix together oil, vinegar, salt, pepper and dijon. Drizzle or toss with asparagus. Top asparagus with Parmesan.